Kenyon College is known as one of America's great liberal arts colleges, nestled in Gambier, Ohio and boasting a long list of accomplished alumni, faculty and visiting scholars. Yet much of the world still thought of Kenyon as a sleepy little college for writers and artists. We wanted to showcase the incredible amount of energy and rigorous academic thinking present on campus, occurring within a myriad of venues and opportunities. We also had to show the value in a liberal arts education, surfacing alumni successes and stories that allow a visitor to see where a Kenyon College education may take them. Typically known as a sleepy, writing school, Kenyon needed a new progressive site that showcased all the school has to offer, from advanced research opportunities to sought after internships, along with ability to explore a wide range of academic interests. Kenyon's team wanted a site that allowed a visitor to experience what it is like to be on campus, and to truly get a feeling for "the place". "Along Middle Path" was the name given to the stream of content which automatically flows to the home page of Kenyon's site. 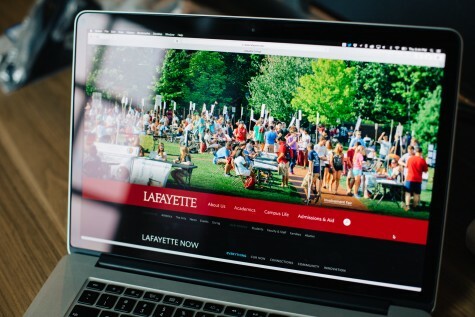 While current students and alumni know "Middle Path" as the scenic pathway that intersects campus, the site presents it as the pulse of information that is constantly updating and revealing the activity and thinking happening within the community. We know that one of the first things a prospective student or their parent will do is to check to see if the school offers a major that the student is interested in. 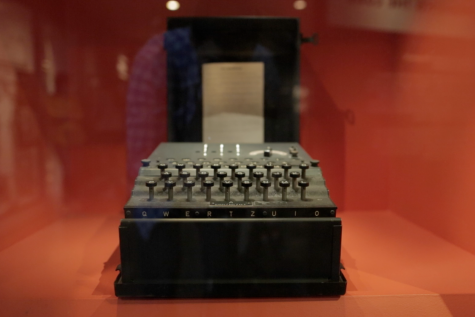 However, many schools make this process of exploration incredibly frustrating and cumbersome. Often, they bury majors within obscure departments or schools, forcing a visitor to maneuver through their own internal organizational systems to find what they are looking for. We ensured Kenyon provided easy and intuitive ways to explore available majors and minors, incorporating a tagging based search system as well as a quickly scannable list of options. 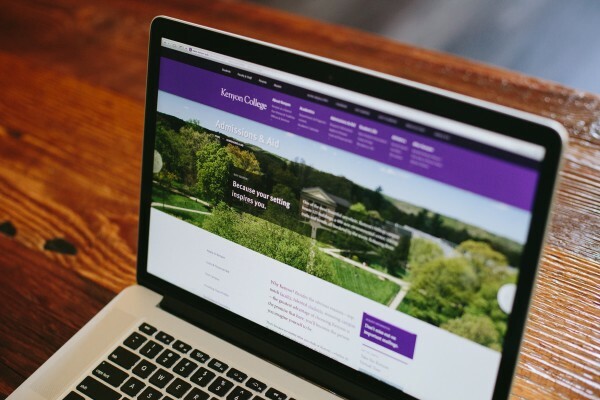 The fully responsive website, powered by BigTree CMS, takes a deep and detailed look at Kenyon, offering stories, rich departmental sections, areas to engage and immersive sections exploring what comes "After Kenyon". The site's responsive design and implementation ensures viewers on smartphones and tablets aren't served a second-rate experience, and is a direct influencer in overall accessibility, particularly for international and lower-income viewers. When a user is exploring content within the Admissions or Financial Aid sections of a college website, they are most likely not looking to be entertained or amused. Additionally, they aren't expecting to have to work hard to find the facts, like costs, deadlines, etc. Kenyon's Admissions & Aid section offers quick access to important information, while also ensuring a friendly and helpful voice and tone greets stressed out visitors who are going through the college application process. Often times the "About" section of a site is full of boring content that is barely ever read, let alone enjoyed. And yet, it's the first chance we have to introduce key characteristics and benefits to a visitor. We argue the "About" section is the most important first step in a visitor's experience and should not be overlooked or under appreciated in its strategic role. Kenyon College reports a record-shattering admissions year, with huge increases in international applicants, and a historic low in selectivity rankings.